Rat Race: "An endless, self-defeating, or pointless pursuit". The term is commonly associated with an exhausting, frustrating, hard-to-break lifestyle that leaves no time for relaxation or enjoyment. 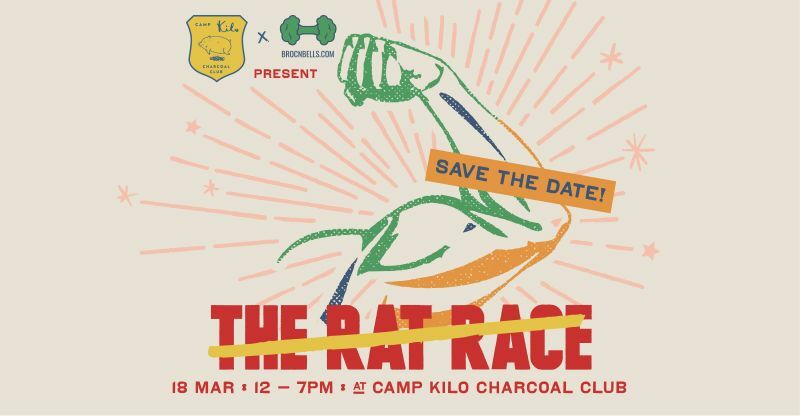 Come Sunday, 18th March '18, choose to (beat) The Rat Race! Get your SweatBuddies together for an afternoon of sweativities. On your own? No worries, friends are just strangers you haven't met! We've curated all the elements to bring people over: music, food, drinks, fitness, connections (no swiping, just real life activities & interactions). Cheer on the teams in the Broc & Bells Play-Offs 2018 finale, and participate in buddy workouts and challenges. Let's connect and indulge in the simplicities of life. - Coming alone? No worries! Our Connections Board will help Find you a SweatBuddy, on the spot! - Come & go as you wish. Join 1 Sweativity or choose to participate in all.